Oppo AX7 Pro VS Xiaomi Redmi Note 5 Pro: Which One Will You Choose? 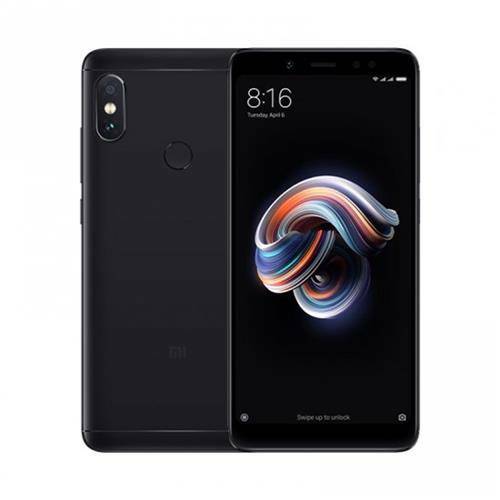 Although the Xiaomi Redmi Note 5 Pro is 2017 budget device, it still maintains a good body design and can still compete with other latest phone of 2018. The phone was one of the best budget devices that has value for money. We will be comparing the Xiaomi Redmi Note 5 Pro with the new and premium budget device from Oppo which is the AX7 Pro. In terms of design, the Oppo AX7 Pro sports a premium looking body. The phone is built with a combination of metal and glass. It has body dimensions of 75.5 mm x 158.3 mm x 7.4 mm and weighs 156 gram. The Xiaomi Redmi Note 5 Pro, on the other hand, is also blessed with a decent body design. The phone is built with Aluminum Alloy. It measures 75.5 mm x 158.5 mm x 8.0 mm and weighs 181 gram. Unlike the Xiaomi Redmi Note 5 Pro, the Oppo AX7 Pro has a bezel-less display with a teardrop notch and on-screen fingerprint scanner. The Redmi Note 5 Pro has a fingerprint scanner slotted on the back. Both phones are available in multiple colors. On the front, the Oppo AX7 Pro offers a display screen size of 6.4 inches Full HD+ coupled with AMOLED capacitive touchscreen with a resolution of 2340 x 1080 Pixels and 403 PPI density, while the Xiaomi Redmi Note 5 Pro has a screen size of 5.99 inches coupled with IPS, LCD capacitive touchscreen and a resolution of 1080 x 2160 Pixels. Both phones are equipped with a display protection. The Oppo AX7 Pro wins and it also has a higher screen to body ratio as well. The Oppo AX7 Pro packs combo rear cameras of 16 Megapixels + 2 Megapixels with dual LED flash and a front facing camera of 25 Megapixels with F2.0 Aperture, and Face Recognition features, whereas the Xiaomi Redmi Note 5 Pro has a dual rear cameras of 12 Megapixels + 5 Megapixels with dual LED flash and a front camera of 20 Megapixels with Sony IMX376 Sensor, 5P Lens, Pixel Size 1.0μm, and Face Recognition features. The Oppo AX7 Pro is also winning on the camera department. It will take better photos and also shoots 4K videos quality as well. The Oppo AX7 Pro has a Qualcomm Snapdragon 660 MSM8976 Plus chipset with an octa-core processor that clocked at a speed of 2.2 GHz, while the Xiaomi Redmi Note 5 Pro has a Qualcomm Snapdragon 636 chipset with an octa-core processor that runs at a speed of 1.8GHz. The Oppo AX7 Pro has a Qualcomm Adreno 512 GPU with 4GB RAM and inbuilt storage of 128GB, whereas the Xiaomi Redmi Note 5 Pro has Qualcomm Adreno 509 GPU with 4GB/6GB RAM and inbuilt storage of 64GN which is also expandable via micro SD card. The phone runs on Android 7.1 Nougat, while the Oppo AX7 Pro runs on Android 8.1 Oreo operating system. On the battery, the Oppo AX7 Pro packs nonremovable 3600 mAh battery, while the Xiaomi Redmi Note 5 Pro has a massive nonremovable 4000 mAh battery. Both have a fast charging technology. On the price, the Oppo AX7 Pro will cost approximately $450, while the Xiaomi Redmi Note 5 Pro will sell at a price of $210. The Oppo AX7 Pro will perform better than the Xiaomi Redmi Note 5 Pro. The Note 5 Pro will only make a better alternative if you have a budget in mind since it’s more affordable.